While everyone seems to be talking about a Android Nokia Smartphone, it is important to know how many of us would actually buy it. Please leave a comment below supporting your choice. Share this poll with your friends on Facebook and help us figure out how many people would actually buy the Nokia Android Smartphone. Who knows! 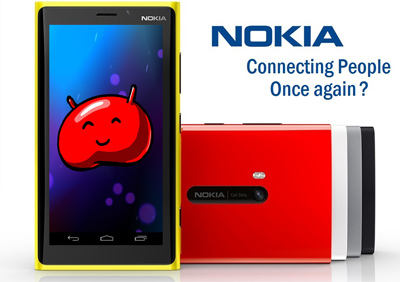 May be Nokia takes some inspiration from here and launches the hypothetical Nokia Android Smartphone!